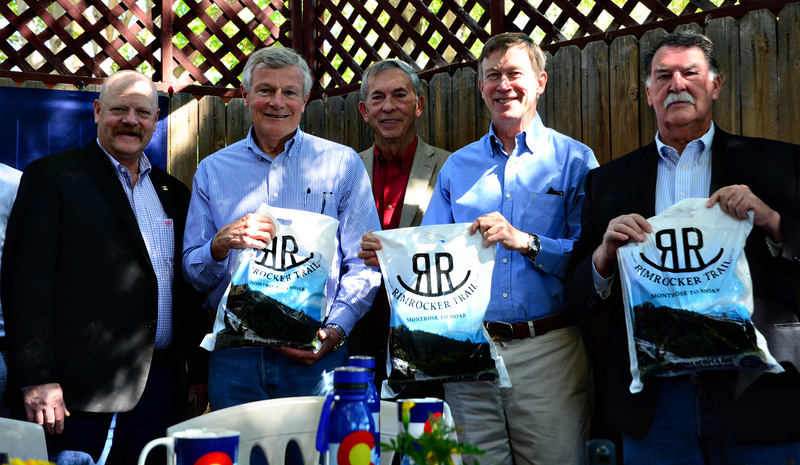 We heard the Governor is an avid mountain biker so of course we had to give him some Rimrocker swag when he was in Montrose recently. The Governor was in town to sign Senate Bill 2 into law. The bill will increase access to broadband in rural Colorado, which will only help our local schools, the economy, and much more! From left to right: Montrose County Commissioner Keith Caddy, Herb Halter, Commissioner Glen Davis, Governor Hickenlooper, and Senator Don Coram.